Eating at home is tricky. I understand. I have to admit to you, we used to eat out a lot. Between work, family, and home sometimes planning and cooking meals is the LAST thing we want to think about. When we committed to using the baby steps to pay off all our debt, the first area of our spending we knew we needed to tackle was our food budget. We have used these percentages are a GUIDE to track our spending and pay down debt. At the time, we need to cut our food bill in half to stay afloat. Eating out was no longer an option. I"ll be honest. It was not easy. I had never made an actual meal plan before. Did I mention I really didn’t know HOW to cook? Ten years later, we try to eat at home 6 nights a week. Needless to say, I’ve learned a lot along the way. I’ve made plenty of mistakes. I’ve cooked food nobody wanted to eat. I’ve blown the weekly food budget many times. But eating at home can mean MANY different things to different families. What works for you neighbor or you friend or your mother-in-law might not work for you and THAT’S OKAY! Do want works for you. 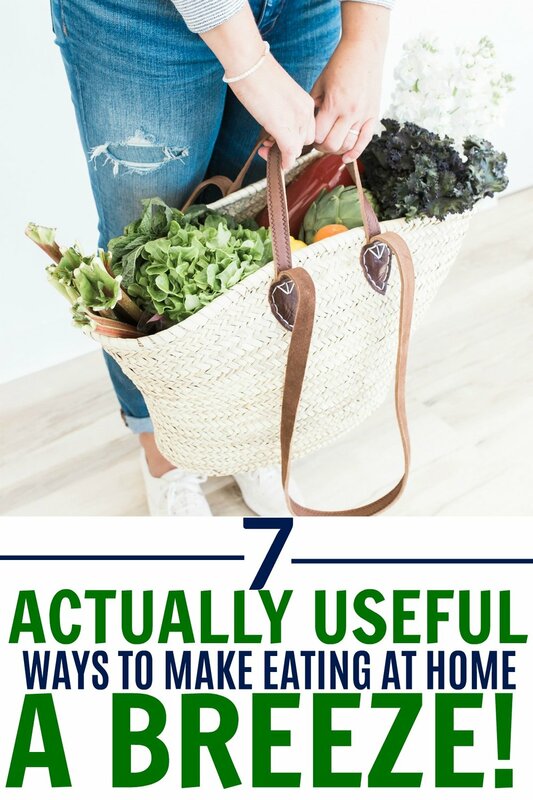 Here are 7 great options for eating at home. Try one or try them all! You can do it. Some people just don't love meal planning. I'm one of those people. It takes time to dig out cookbooks or find pins on Pinterest. Then you have to make a list and add side dishes. Did I mention, you have to do this every week? I'm a big fan of buying meal plans. 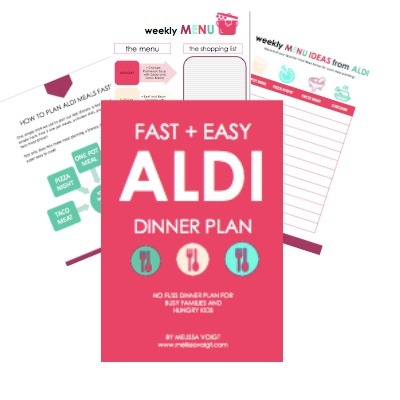 Each week you receive a meal plan, recipes, AND the shopping list in a single document. You simply print and go to the store. You can get meal plans for any dietary restrictions or preferences. Most meal plans are just a few dollars per week. Even if your budget is tight, I would strongly encourage you to purchase a meal plan. It is worth it! Maybe you don't mind making meal plans but you don't love grocery shopping. Let's face it , grocery shopping takes a lot of time! If your weekends are full of family time or house projects, who wants to make time to shop? Take advantage of grocery delivery or pickup. Many store now offer grocery delivery. It's easier than ever. Check with our local store. I heard Aldi is considering partnering with Instacart soon! We recently tried Walmart pickup on vacation. I loved it. It was so easy. If you have a busy weekend planned, consider setting up grocery pickup instead of going to the store! Another great option is the purchase a meal delivery kit. Sure, you will pay more for the food but for our family this is cheaper than eating out. When my husband's work schedule to hectic, I order a meal kit. It is a life saver for me. You can pause weekly kits to fit your schedule. You can also select certain meals based on preference or allergies. If you have teenagers, meal delivery kits are a great way to get them in the kitchen. The directions are perfect for beginning cooks. My older can kids make these meals while I am shuttling siblings around town! Freezer cooking used to overwhelm me. I'm not one to spend an entire day prepping freezer meals. I don’t have the time for all that. I few years ago I started doing smaller freezer cooking sessions. I’d double a batch of cookies or granola and freeze one. I’d buy double the ingredients for dinner and prep the extra food for another night that month. I also started using FreezEasy a few years ago. It is perfect for busy people who need to prep easy delicious food fast! It is one of my favorite things. FreezEasy is my go to for busy people who need healthy, fast, meals in your freezer. Erin's recipes are fantastic. She has shopping lists and recipes ready to print or save to your phone. It could not be easier. Find out more here. I was skeptical at first, but I love my instant pot. If you are curious, we have this one. Especially if you have kids in sports, this small appliance is worth it! Figuring out what to cook in the instant pot is tricky. Here are my main go-to for instant pot recipes. Pinterest. I love Pinterest. I created a board for all things Instant Pot here. I still use my crockpot too! Your instant pot will pressure cook and slow cook, so technically you don't need both! I love my crockpot during the winter for soups and stews. I love it during the summer when I don't want to heat up the kitchen from the oven! Another great option is to do a weekly prep. Pull out your meal plan for week and prep all your food on the weekend. Precut all your veggies. Slice and season your meat. Prep any lunch or breakfast items for the week. Basically reduce your time in the kitchen during the week by prepping it over the weekend. I set a timer for one hour, divide my tasks amongst any kids hanging out in the kitchen, and get to work. Meat. Slice and season meat. Place in baking dish with a lid. Lunches. Bake or prep any quick-breads or protein needed for lunches this week. Snacks. Lay out yogurts, string cheese, and hardboiled eggs for quick snacks. 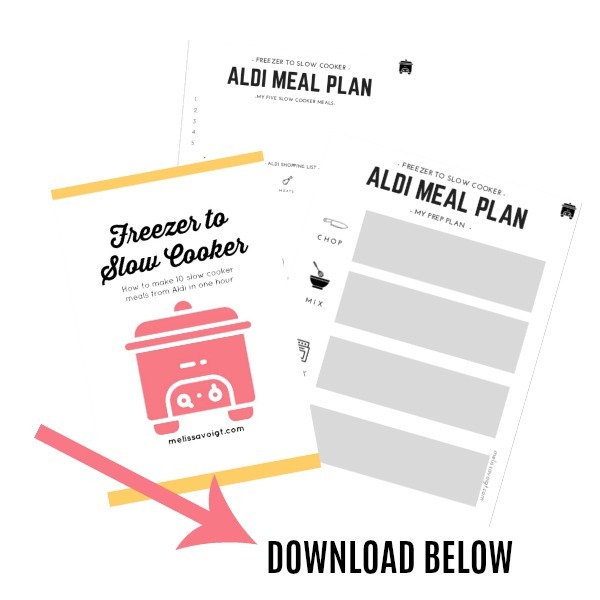 Need more meal planning help? 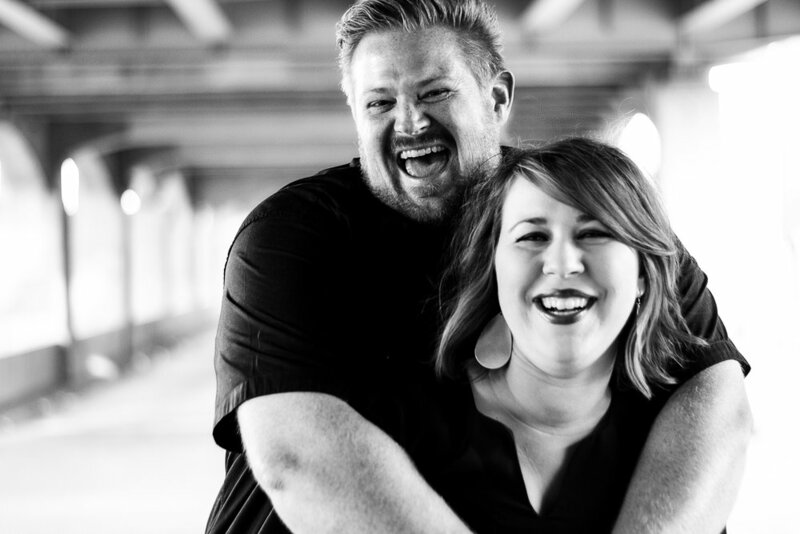 Check out my FREE resources.